Alpari Russia works as Retail Broker and is active in this field since 1998. The foundation of the company is based at Moscow in Russia. Over the years its business has expanded in various directions. It has opened its branch in UK as a brokerage agency based in London in the year 2004. Next it travels all the way to US and settle up its firm there in 2006. In all these locations they are established as separate organizations and are thus under the regulation of local authority. This CFD network enlisted online trading service has emerged soon as one of the prominent rapidly extending brokerage agency. Alpari as a professional serves individuals as well as institutional based and investors in retails categories also. Over 10 countries, there are 29 offices spread in various locations. The offices are established with the purpose of fulfilling the requirement of clients spread in the locality and cover almost 150 countries across the world. Major Alpari offices are situated in Frankfurt, Moscow, Mumbai, Dubai and Shanghai. Across the globe, Alpari has 400 employees working under their offices. It has a record number of clients and the approximate figure is about 330K and it records a monthly based trade amount of $147 Billion. Three major Alpari offices are regulated by different Government bodies. Like UK based Alpari Brokerage agency is under the regulation of FSA. The USA based Brokerage firm is under the firm control of CTFC and NFA. The Russian originated Alpari is under the regulation of Financial Regulation Agency or FRA. This is the main factor for which Alpari offers its users with different facilities on the basis of the difference in the locations of the offices. The investment protocols differ from country to country. However FSCS or Financial Services Compensation Scheme as based in UK assures the protection of retail based clients. Clients of Alpari brokerage website can practice trading with the use of free eternal demo account. The registration process meant for owning live as well as demo accounts is pretty easy. It takes hardly a minute to complete the registration process. UK based clients have the permission to deal with various clients. MT4 users can use this account and are offered with lower spreads of 1.6 pips meant for 32 pairs of currency. The initial deposit amount must be $200 and traders are permitted to transact in midst of standard regular lots lying between 0.01 and 2 as applicable on every transaction. The leverage ratio is 500:1. The key feature about the account is the low base rate of 1.6 pips as applicable for 32 pairs of currency and is meant to be used up by both MT4 as well as Systematic account holders. This is piled up with as many as 106 tools initiated by CFD with Gold and Silver. The user needs a minimum amount of $500 as deposition amount. At the same time 0.1 lots is required for CFD’s Community or Forex and clients of Alpari need to deal with 1 lot for CFD’s share. This account is under the access of Alpari Direct offers low rate spreads of 0 pips on the basis of 57 pairs along a leverage ratio of 100:1. In order to have this account, minimum deposit of $20,000 is required along with varied sizes of trade lots with a standard size of 3. US based Alpari clients are offered with an option of two accounts on the basis of the US Dollar currency option. This Standard account is based on MT4 platform and offers trade options with 23 pairs of currency as combined with other options like Gold and Silver. This account requires a deposit of $250 and the leverage ratio is of 50:1. The minimum size of the trade is 0.01 lot. 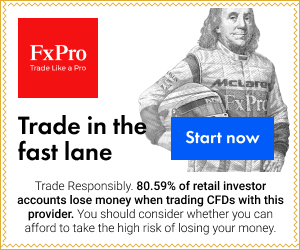 Alpari Direct Pro traders and MT4 platform users can take advantage from this trade base as under the access of Alpari Direct. The user can deal with as many as 30 pairs of currency and is actually No Dealing Desk special account. The trader needs to deposit $10,000. The trader is allowed with the trade size lot of 0.1. MetaTrader 4 platform as offered by Alpari has won awards. MetaQuotes Software Corp. offers a fairly inventive and striking technology that allows complicated charting, fast implementation and request processing in faster speed. Veteran advisors with a wholesome technological analysis group are capable of handling database in multilingual format. So many customized features are offered to the users with wide range of diversities. Russia based Alpari users are allowed with additional access through smart mobile devices and with PDA editions developed on the basis of MT4. The platform exclusively is applicable for Pro clients as registered with Alpari. This specified platform offers the users with plenty of opportunities and advantages of MetaTrader 4 with a low spread of 1 pip. It is no dealing desk dealer and claims for re-quotes are not part of the policy as it supports trade transaction through various banks through more than 35 pairs of currency. Electronic Communications Network or ECN power this specific trade platform and is exclusively meant for the traders who deal with greater volumes as balanced with reasonable values with a quick execution speed. Alpari traders situated in Russia are also provided with this service. Direct Pro trade platform as delivered by Alpari is under the control of Currenex. STP or Straight through Process permits trading without the involvement of Dealing Desk that allows in quick execution of services. Traders from various countries can efficiently utilize this platform. Individuals with higher net value and money managers can also utilize this platform. A clear transparent service is provided to the traders through the platform and it explores the depth of the market. Russia based Alpari users can have easy access to the users. Professional traders are supposed to utilize this L2Dealer platform as offered by Alpari. Users operating through this platform can place orders directly without the intervention of electronically operated Order Book as an exchange with instant processing of CFD position. One click trade processing is possible for the traders who use Alpari QTrader, CFD or Contracts for Difference based trade base. It makes use of the financial chart package that includes many indicators operating in substantial levels. They can explore past data and information. The interface can be customized completely and allows trading in different markets like DMA equities, rates of interest, Shares, Stock Indices and lots more. Alpari users can also have information received from Reuters in an integrated manner and they can keep them updated about the latest Market News. Alpari in addition with other account types offer the users with demo account so that they can try their hands out for the improved version of MetaTrader better named as MetaTrader 5. Those who are accustomed with MT4 will happily accept this updated version. MetaQuotes has supposedly come up with a revolutionary concept. ZuluTrade is yet a different type of platform meant for Alpari based in Russia. This can be best described as an automated format of trade platform that allows traders to carry forward trade communication even without use of internet services. Users can select the signals from the available options in accordance with the specified signals. Zulu trade is very useful as it permits immediate implementation of orders and does not need any further requisition policy. This is a no dealing desk. Alpari Forex offices as situated in UK, USA and Russia are entities of independent nature. They have different policies applicable for withdrawal and deposition as they are under regulations of various heads. UK based Alpari leaves the users with no further options to transfer funds with utilization of PayPal, E-Gold or through different transaction websites. This is because of the anti-laundering policies of the legislature. Instead they can deposit amounts in their accounts through debit as well as credit cards. The amount gets credited with an hour. Transference of wire through bank is yet another option for transferring amount in the account. A single day is required for the processing. As noted within European dominions, withdrawal of money requires three days. The same process when repeated outside the territories of European Union records for 5 days. No extra charge is recorded as you credit or remove amounts through wire transference or as made through Debit cards. The transactions made through credit cards are charged with 1.75% and are below $3000. UK based Alpari don’t charge their users as they transfer amounts in and out of the account with the help of Debit cards and Wire Transfer. Payment made through credit cards are charged with 1.75% when the amount is lea than $3000. US based Alpari service has provision of depositing money with the application of transference of wire as well as through check and PayPal. Thus US based traders can easily credit their accounts in dollars. Withdrawal of money is possible with the time limit of a single day. The process is completely free but they only need to pay the charges as the site applies with meant for wire transference of the banks. Russia based Alpari account holders are offered with varieties of transfer options like MasterCard, Dixiplay, Moneybookers, Bank Wire Transfer, Visa and Ukash vouchers. Moneybookers, Webmoney and Dixiplay are responsible for the easy withdrawal of money as made through Electronic Fund transfer process or even through bank based wire transfer. Different types of accounts are offered by the system based platform. These varied accounts are better identified by their names like classic.systematic, pamm.systematic, swapfree and demo.systematic. Check out the names of eight varieties of acconts in connection with MT4 platform. These are as follows: micro.mt4, classic.ndd.mt4, classic.mt4.swapfree, micro.mt4.swapfree, pamm.mt4 (meant for ECN and NDD), demo.mt4, classic.mt4 and pro.ecn.mt4. Pro.direct is a real type account as available in Alpari Direct platform formed in connection with currenex. Demo.direct account is also there for the use of the trader. Alpari ZuluTrade offers the users with 3 types of accounts. Classic.ndd.zulutrade, demo.zulutrade and classic.zulutrade are the three different types.